Vanagon Vagabond : A Once and Always Father - Why write a book, my story? 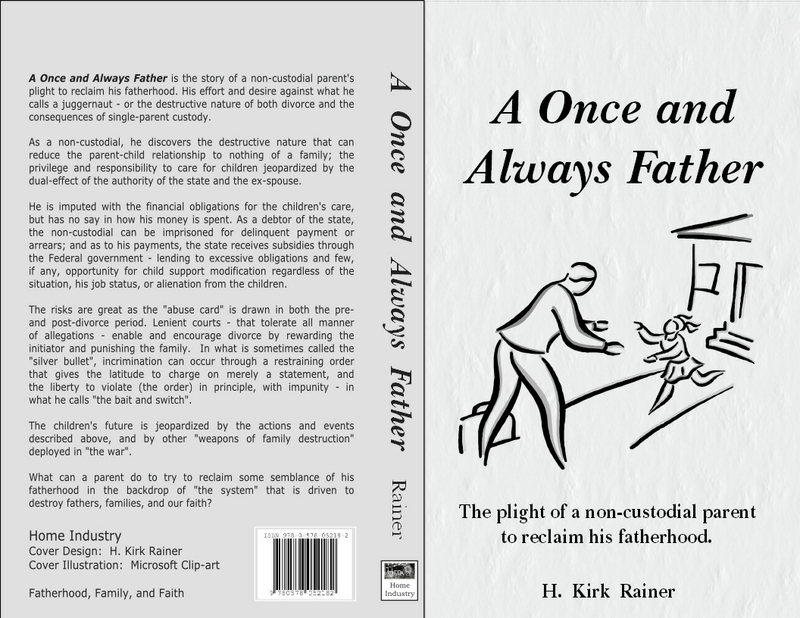 A Once and Always Father - Why write a book, my story? Writing is an art and one that never considered mine until a series of tragedies. My kids...and all the kids and parents who love them and want to be a part of their lives. 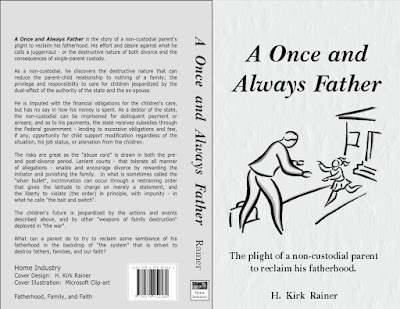 The book is about my marriage, divorce and the consequences of a non-custodial parent. "How is that a tragedy?," you might asks. The events that follow and the environment in which a parent can (and many does) conduct themselves is not at all a parent in the sense that they do not authority in their child's life--regulated by the state (court order..."visitation rights") and at times subject to whims and will of custodial parent, their desires versus the child's needs. I was once, am and will always be my children's father. and continue to identify those have and do threaten that fact, attempting to erode and erase it through false testimony, manufactured criminality and the manipulation of young minds and hearts. Suffice to say that time has a way of revealing the truth. Should I be given such time than perhaps time will...and the father that I claim to be can come to realize that love wins.